The event is free of charge and open to the public. No registration needed. At this year's Holberg Symposium, held in the honour of Onora O'Neill, five prominent speakers will discuss issues related to the ethics of communication. Many classical approaches to the ethics of communication stress the rights of speakers and writers, but are reticent about the needs of their audiences and readers. This emphasis can seem unproblematic if we take it for granted that the main threats to communication lie in the repressive use of power to censor or silence speech, which have been central issues for classical (and contemporary) arguments for freedom of expression. Those arguments see freedom of speech and of the press as supporting forms of check and challenge that can hold power to account. These classical arguments may have lost some of their grip in a world in which a great deal of content is produced and disseminated in ways that bypass, and even undermine, the traditional disciplines of communication, including those specific to journalism, publishing and broadcasting. It has become harder for readers, listeners and viewers to check or challenge what they read, hear or see, or to judge its sources or its credibility. Can democracy be sustained in an era whose technologies are so hospitable to almost instantaneous mass circulation of uncheckable material, ranging from on line advertising, to ‘fake news’, to black propaganda, to counteraccusations that well-sourced and evidenced claims are faked? Will the swirling circulation of free-floating content undermine democratic citizenship? What do we now need to do in order to sustain democracy? Would it help to place more emphasis on the central ethical standards and disciplines for communicative acts—for example on standards of honesty and trustworthiness—rather than reducing the ethics of communication to freedom to disseminate content? See full program beneath streaming window. 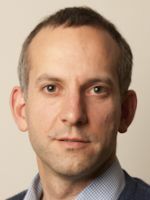 Jonathan Heawood is the CEO of IMPRESS: The Independent Monitor for the Press. 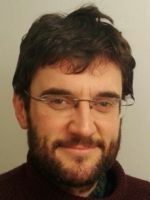 He has previously worked as a journalist and human rights campaigner and has written on free speech and regulation for a number of publications. Rowan Cruft is senior lecturer in philosophy at the University of Stirling. He has published on rights, duties, respect and justice. 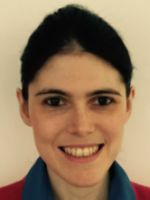 Laura Valentini is associate professor of political science at the London School of Economics. She works in contemporary moral and political theory, with particular emphasis on international ethics, the theory of democracy, methodology in normative theorizing, and the morality of socially constructed norms. 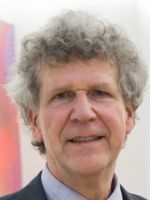 Steven Barnett is professor of communications at the University of Westminster and an established writer and broadcaster who specialises in media policy, regulation, and the theory and practice of journalism. He has frequently served as adviser to ministers and parliamentary committees in the UK. 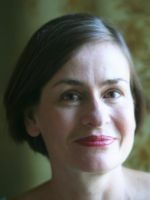 Rae Langton is professor of philosophy at the University of Cambridge, and Fellow of Newnham College. She has testified to the Leveson Enquiry on media ethics, and is writing up her John Locke Lectures (Oxford 2015), about the ethics of communicative speech acts, entitled ‘Accommodating Injustice’.